NBA Live 19 Video Game With All Star Edition Add On Only $3.99 For PlayStation 4 or $6 for Xbox One - Digital Download, Buy and Play Right Away! 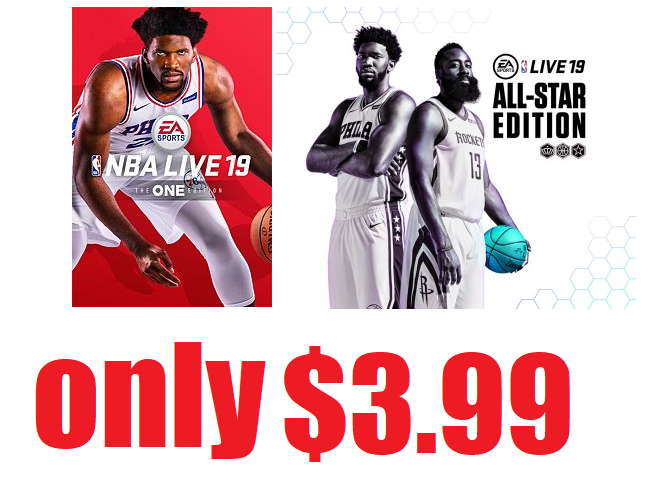 NBA Live 19 Video Game With All Star Edition Add On Only $3.99 For PlayStation 4 or $6 for Xbox One - Digital Download, Buy and Play Right Away. includes the full game and the extra all star edition, awesome price!